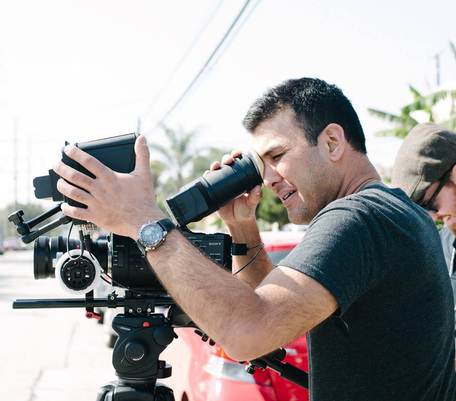 Paul Abbaszadeh is a professional photographer & cinematographer based in Orange County/Los Angeles, California. Paul graduated from California State University Fullerton with a degree in Radio-TV-Film Production with an emphasis in Cinematography & Post-Production. He has over 14 years of photographic & cinematographic experience. His varied production experience encompasses everything from feature film/network television to indie film & music video productions. Paul is a published author with two novels to his credit; he is a member of the Screen Actor's Guild (SAG) & is being considered for admittance to the International Cinematographers Guild (ICG). He has worked on hit TV shows like "Full House", "Sisters", & "The Nanny". He has freelanced all over the world and specializes in cinematography of all kinds as well as, portrait, boudoir, studio, & event photography. See more work on Vimeo!